Day Camps- Open every day! 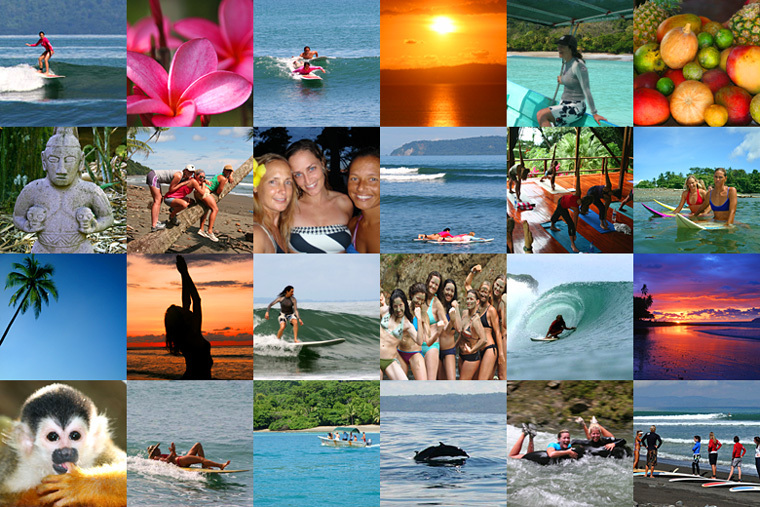 All inclusive costa rican vacations with a variety of surf camps and fitness camps in Pavones, Costa Rica. Daily surf lessons with motivating surf instructors, delicious, healthy meals, beachfront yoga studio, canopy and river hikes and animal watching in a beautiful remote jungle with a perfect pointbreak. Stay in spacious villas set in a beautifully manicured garden on the Rio Claro de Pavones. We also offer budget Surf Camps, Athletic Camps, Surf and Spanish Camps, and other activities a la carte like massage and ATV tours. Flights and taxi from the capital to Pavones are also included. Make your vacation in Costa Rica to Pavones! We host custom surf camps for special occasions, parties, families, friends, and solo travelers. Spend an unforgettable surf trip with us. It's not just about surfing, it's about the adventure!